Novelist, essayist, poet, playwright, historian, journalist, Christian apologist, literary and social critic, G.K. Chesterton was one of the most protean and prolific writers of his age, perhaps of any age. Bernard Shaw called him a `colossal genius'. Most readers have certainly found him too big to see whole, and have therefore cut him in half. The `poet' is severed from the philosopher; he is treated either as a phrase-maker or as a mystic; his quirky writings are enjoyed as an aesthetic end in themselves, or they are praised for their contribution to theology. In this close reading of his work, Michael D. Hurley brings Chesterton's divided selves together. 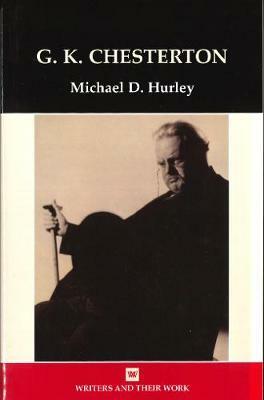 Covering the full range of his diverse genres, Hurley shows how Chesterton thinks through language, in ways that confound attempts to read him as a thinker without first appreciating him as a writer. Dr Michael D. Hurley teaches English Literature at the University of Cambridge, where he is a Fellow of St Catharine's College. His other books include 'Faith in Poetry: Verse Style as a Mode of Religious Belief' (Bloomsbury 2017) and, with Michael O'Neill, 'Poetic Form: An Introduction' (CUP 2012). He is also editor of the new Penguin Classics edition of Chesterton's, 'The Complete Father Brown Stories', and co-editor, with Marcus Waithe, of 'Thinking Through Style: Non-Fiction Prose of the Long Nineteenth Century' (OUP 2018).